Standard Widths 24" and 48"
We are providing best quality of Refractory Ceramic Fiber Blanket to our customers. Packaging Details: Every Piece Non-Oven Bag Packing. 10 Pieces??? Per Bundle. Every Bag Best Quality Packing. Look of the Fire Blanket is Unique. 100% Dust Free Bag. As Per Your Requirements. Per Bag Fire Blanket is 100% Non-Asbestos. Each bag will be with our company symbols... Size of Fire Blanket as per Your Requirement???s. We provide best quality of Ceramic Fire Blanket to our customers. Packaging Details: 10 Pieces??? Per Bundle. Every Every Piece Non-Oven Bag Packing. Bag Best Quality Packing. Look of the Fire Blanket is Unique. 100% Dust Free Bag. As Per Your Requirements. Per Bag Fire Blanket is 100% Non-Asbestos. Each bag will be with our company symbols... 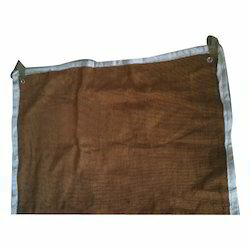 Size of Fire Blanket as per Your Requirement???s. It is a soft, flexible cloth made of ceramic fiber yarn reinforced by stainless steel wire with both side vermiculate coated. It is an ideal replacement for asbe stos product used for thermal insulation and heat protection. It will not burn, rot, mildew or deteriorate and resist most acids. It has low coefficient of thermal expansion and is suitable for temperature up to 1050°C. All kinds of aluminium silicate fibre blanket, made from common, high pure, zirconic, chromic aluminium silicate fibre, after the process of needling, thermoforming, crossbar cutting, rolling up ,etc. which is through double-sided needling operation by using spun technology. All kinds of needling blanket not only have the same excellent function of corresponding aluminium silicate fibre, but also have low shrink and high tearing strength. 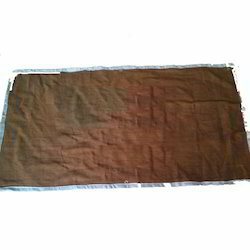 In addition, the blanket own even texture and integrity surface. CT spun fibre blanket adopt high pure raw materials without any binding agent, ensure the product own good reliability and stability in any environment. the function of the blanket isn’t affected by water and oil, it will recover its thermal performance and physical property after drying. Needling blanket in different size and thickness provide users a wide range of material selection to gain the best heat insulation structure and energy saving effect. Double—side needling operation produces tough, resilient and strong blankets, which resist tearing both before and after heating. Is made by the melting of good quality bauxite, and through the process of internsive needle punching, it don't contain any binder. It has the features of low thermal conductivity, excellent heat insulation, low thermal shrinkage, and excellent erosion resistance. The refractory ceramic fiber blanket series includes ordinary fiber blanket(PXT), High purity fiber blanket(CXT), High alumina fiber blanket(GXT) and Zirconia containing fiber blanket(HXT) according to the different service temperature range. The products are mainly used as inner lining for kilns in the metallurgy, petrochemical, machinery and electrons, ceramics industries, etc., and insulating material for nuclear power industry. Easy to construct and convenient to use. Excellent resistance to pressure and toughness. Tight tolerance make sure the right installation. Large quantity in stock ensured fast delivery. Large capacity reduce materical prices. Inquiry response: Your inquiries will be replied in 24 hours. the heat conductivity of ceramic fiber board. required, please notice in advance. If any questions please feel free to let us know anytime. Packaging Details: Every Piece Non-Oven Bag Packing. 10 Pieces¿¿¿ Per Bundle. Every Bag Best Quality Packing. Look of the Fire Blanket is Unique. 100% Dust Free Bag. As Per Your Requirements. Per Bag Fire Blanket is 100% Non-Asbestos. Each bag will be with our company symbols... Size of Fire Blanket as per Your Requirement¿¿¿s. 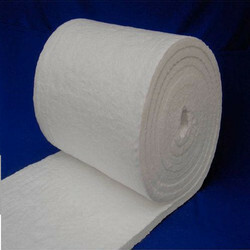 Ceramic fiber cloth/tap is a woven fabric made from our high quality ceramic fiber woven yarn. The cloth is reinforced with fiberglass filament, or optional Inconel/alloy steel wire reinforcement. Ceramic fiber textiles (cloth, tape and rope) contain a certain amount of binder material which is normally burned at lower temperature and does not affect the insulatio property. It is featured with heat insulation and high temperature protective materials in all kind of thermal installations and heat-conducting systems, widely used in welding, foundry works, aluminum and steel mills, boiler insulation and seal, shipyards, refineries, power plants and chemical plants. Excellent insulation at high temperature. Resists corrosive chemicals, commonly used acid and alkali. Good substitute of asbestos products in many insulation and sealing applications. Reinforcing material: glass fiber wire, stainless steel wire, glass fiber and stainless steel wire. 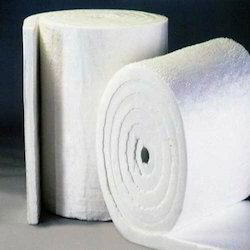 Ceramic fiber blanket is made of special ceramic long-fiber that is produced by melting very pure raw materials in double surface needing process. It also named aluminum silicate fiber blanket, because their main component is aluminum. 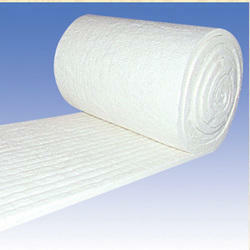 It’s a new type of fire-resisting and heat-insulating materials with white color and accurate dimension. This product does not contain any adhesive to ensure their good stability in high temperature or low temperature environment. Filling and sealing material in high temperature environment.